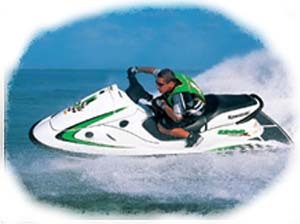 Punta Cana water sports and excursions are available for every possible like or dislike. Whether you’re a super athlete into extreme sports or a couch potato who just wants to do something relaxing and take a break from the beach; you can bet you’ll find water sports in Punta Cana that fit the bill. The water system in Punta Cana, where the Caribbean waters mix with those of the Atlantic, creates a total water sport playground. The constant Punta Cana breeze has made this beach the top destination in the Caribbean for windsurfing & sailing. Most hotels offer free use of small sailboats, but other sailing excursions are available for the serious sailors among us. Is surfing your choice of Punta Cana water sports? There is a 39 kilometer long coral reef protecting most of the 63 km. stretch of beach, resulting in harder to find locations for surfing in Punta Cana. But you can find them if you know where to look. If you’re looking to surf, pick a good surfing beach first then find a resort close by. You will have to walk, take a taxi or the “gua-gua” (local bus) as the surf locations are not on resorts. This reef also creates an abundance of awesome Punta Cana snorkeling locations with several sunken ships and tropical fish everywhere you look. The easiest is to hop on one of the hourly tours at the resort taking snorkelers out to the reef. I’ve always found these to be overcrowded and offer a limited assortment of fish and other underwater sights. 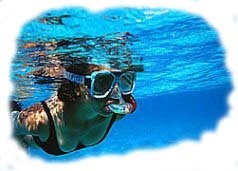 If you enjoy snorkeling it’s easy and cheap to set up a great snorkeling excursion in Punta Cana. Most resorts offer courses in scuba diving and will set up scuba diving tours at the reef. If scuba is your thing you should really go to one of the resorts that offer specialized scuba diving tours in Punta Cana as a coral reef isn't the greatest location for serious divers. I've been on a diving excursion to the Islas Saona and Catalinathat was a blast, definitely worth the money. Looking for other Punta Cana water sports that you can do right from the beach? At many of the resorts you can rent sea-doos, jet boats, get a ride on a banana boat or even go deep-sea fishing. Not to mention that the use of kayaks, canoes, pedal boats and sail boats is included in the all-inclusive-package at most resorts. Whatever type of water sport you’re into, you’ll find an excursion in Punta Cana to satisfy you.